"Thank you for waking up at 6am to go to Trocadero with me while we were on vacation just to get the perfect picture under the Eiffel Tower; Thank you for shooting in 10F weather with your frozen hands; Thank you for building a dream with me; Thank you for always being so patient and generous; I promise to love you, respect you, support you and give you the best of myself..."
Despite the stress to plan an international destination wedding and a not so helpful wedding planner who tried to rip us off on every single detail, I'm so happy that we still had an awesome wedding with all the close friends and family who flew all the way from all over the world to Shanghai. That meant so much to me. These girls mean the world to me and I've met each one at a unique point in my life as early as my university days. 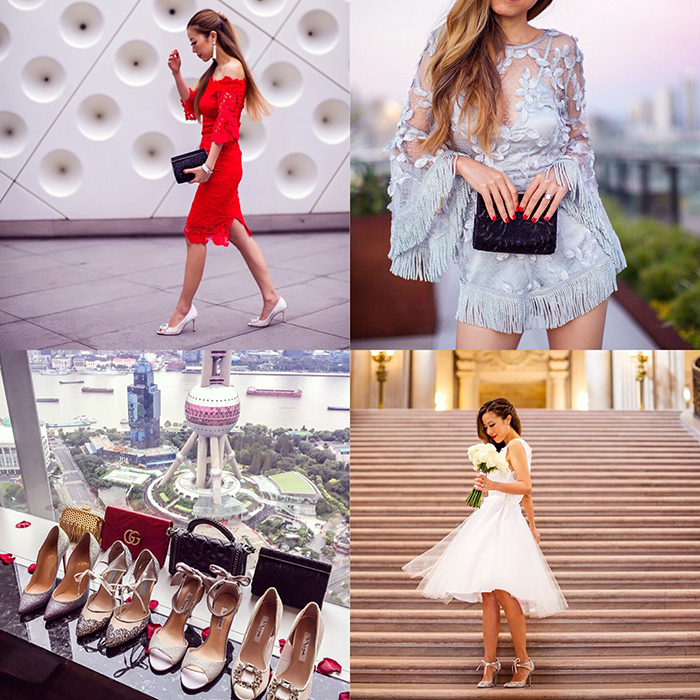 My Maid of Honor even used up all her vacation days for the year and flew into Shanghai from New York for just the weekend! I miss them so so much especially since moving out to SF. 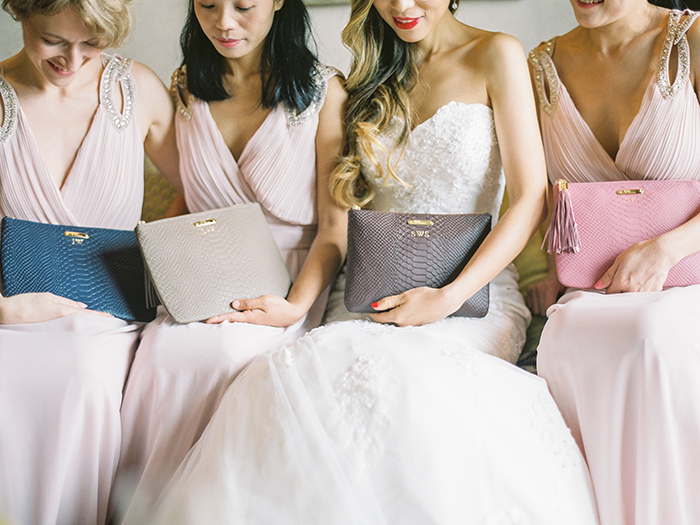 I felt as if there is no better bridal gift than GiGi New York's personalized clutch with their initials monogramed on it with their fav colors. I picked the TFNC dress for them because this dress fits and is flattering for every different body type. 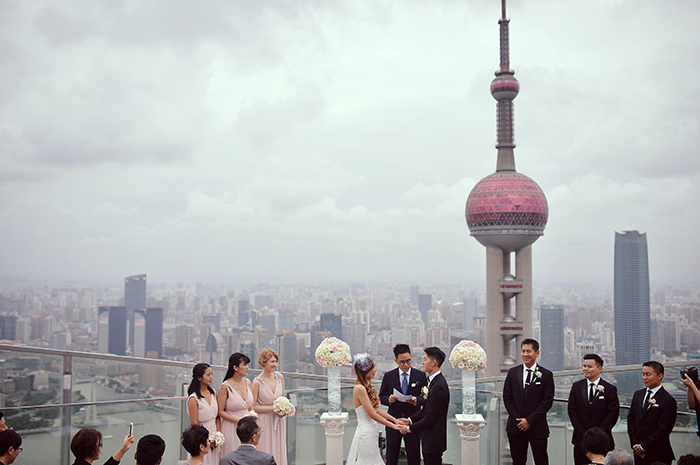 If you guys are considering an international wedding in Shanghai, the Ritz Carlton indeed has the best view. 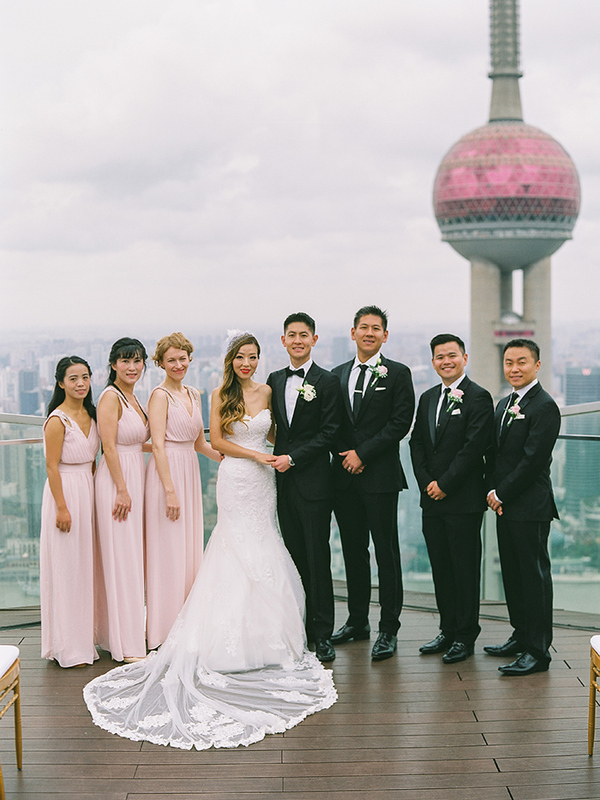 After checking out a few other hotels in Shanghai, I knew I wanted to be married at this venue after we visited for the very first time. My parents, especially my dad, helped so much with my wedding planning. I felt so loved and so lucky to be their daughter. 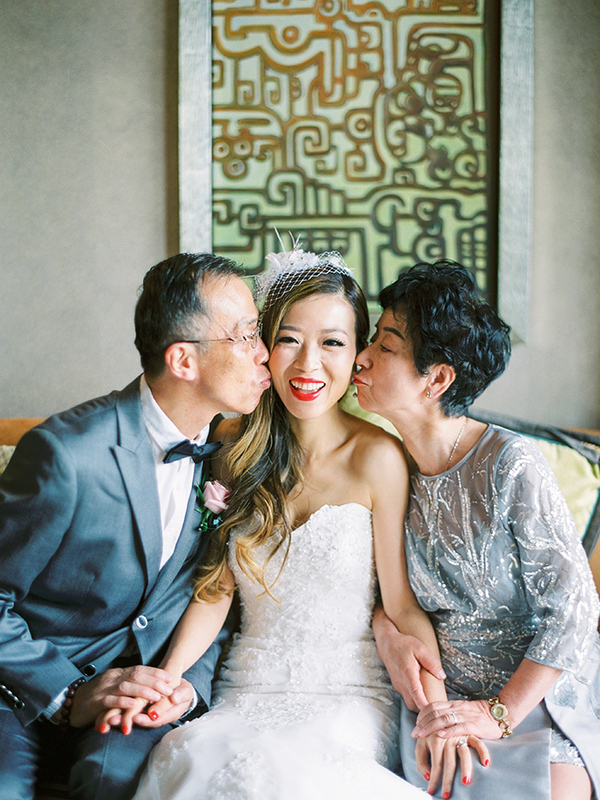 Thanks to Teri Jon for making my Mom look so beautiful and elegant on my wedding day. The dress suits her perfectly. I did, I do and I will always choose you. I'm so proud to be your wife, Mr.SF! The BFFs of our lives. We couldn't be more thankful to have sisters, brothers and friends like you guys. 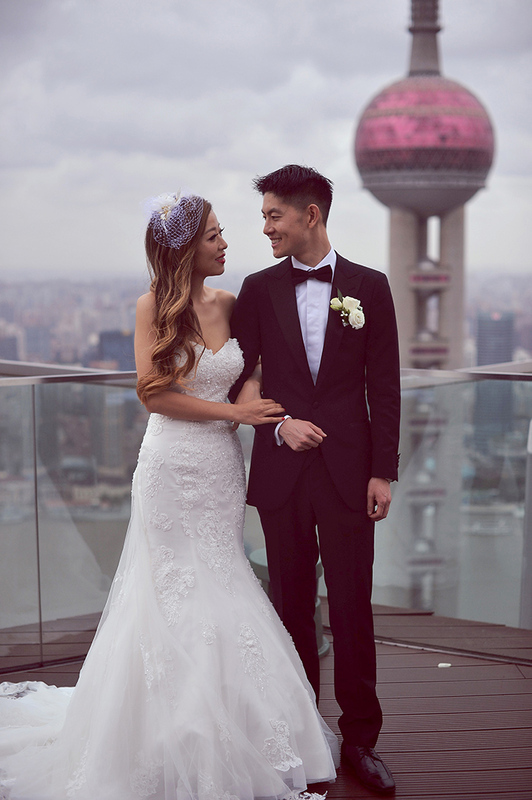 Thank you to everyone mentioned above and our dearest friends and family who made our wedding day so special. 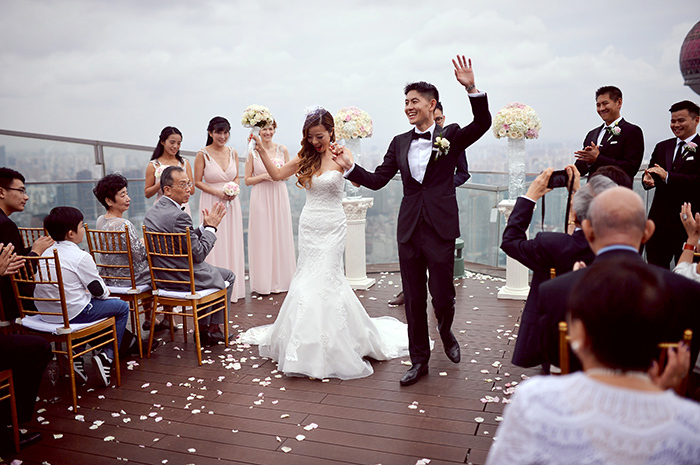 It was the best day of my life. Married life feels incredible and being with my soulmate empowers me every single day.